Regularly incorporating active ingredients into your skin care routine is truly one of the easiest and most effective ways to create positive changes for your skin. In this post, I’ll explain what it truly means for an ingredient to be considered an “active” and give you a list of 20 of my favorite ingredients. Don’t see one of your favorite active ingredient on my list? There is no shortage of many other good ones out there, but I had to draw the line somewhere! In recent years, however, people have started using the word “actives” more conversationally. It is now often used to indicate any ingredient within a formula that gives a specific, proposed benefit to the skin. Basically, any ingredient that modern researchers and experts believe to be effective for driving results. I’m a stickler for using proper terms because it’s been ingrained in me through all of my formal cosmetic chemistry training. Recently though, I’ve loosened up on this a little and use the word “actives” more freely now. That being said, I do think it’s important that you understand the true meaning so you can be a well-informed skin care consumer. This list of my favorite active ingredients is based on both scientific research and my own experience formulating products for 25 years. These are the “active” ingredients that I believe will truly have a visible and positive impact on your skin. I have chosen to use many of these actives in my own line. Algae are chlorophyll-containing organisms that act as an immune-system enhancer. Because algae contain an abundance of vitamin and minerals, they are considered to have “healing” capabilities. This makes algae an ideal ingredient for those whose skin is exposed to environmental stressors (which, in this day and age, is all of us). Algae are also effective at repairing the skin’s moisture barrier. In nature, algae are constantly being exposed to extreme conditions, and over time these plants have developed defense systems against the elements. These defense systems can be equally beneficial when applied to human skin. Other types of algae include: Ahnfeltia concinna (red marine algae) extract, seahorse plankton, Laminaria digitata (algae) extract, Chlorella vulgaris extract and astaxanthin. 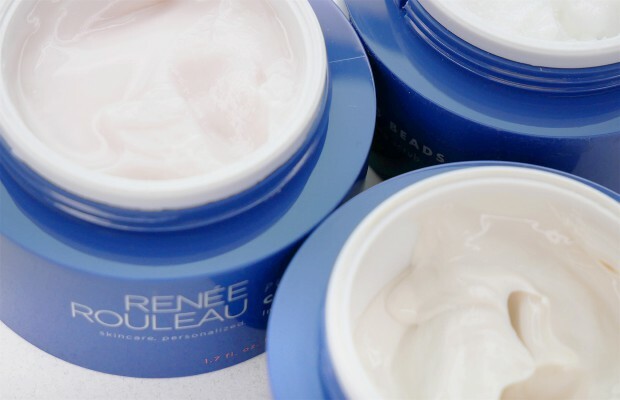 Anyone seeking smoother and more supple skin with increased hydration and firmness. None. However, if someone is highly allergic to shellfish, they might want to patch test a product with algae prior to use on the whole face. Astaxanthin is a powerful, carotenoid antioxidant derived from micro algae. It protects tissues, cells, and membranes from destructive, aging surface free radicals. This helps to reduce the look of wrinkles by encouraging a smoother, more youthful looking skin. Astaxanthin is known to be one of the best active ingredients for preventative aging. Anyone who wants to prevent and reduce the appearance of wrinkles. It is particularly beneficial for those who spend a lot of time outdoors. Benzoyl peroxide is a powerful acne treatment that works by starving acne-causing bacteria of nutritional resources and breaking up the debris inside clogged pores. The result is a quicker recovery time for infected blemishes. Who should use Benzoyl Peroxide? Anyone who gets pustular blemishes and whiteheads, wants clearer skin and is not responding well to salicylic acid or other acne ingredients. Drying and flakiness will occur if overused. Some people are allergic to this ingredient, so it’s best to perform a patch test. Benzoyl peroxide is a strong oxidant, so it will promote the formation of free radicals and inflammation. Because of this, it’s best to limit your use of this ingredient to just a spot treatment, if possible. I recommend that your moisturizer contain antioxidants to help offset the free radical activity. Beta glucan is a Biological Response Modifier (BRM) derived from yeast and grains. BRMs are substances that stimulate the body’s response to infection and disease. This means beta glucan supports the body’s natural ability to visibly correct itself by working within the Langerhans cells to encourage immune defense. It also has anti-inflammatory properties. Who should use Beta Glucan? Someone with any type of acne (cysts, pustules, papules). 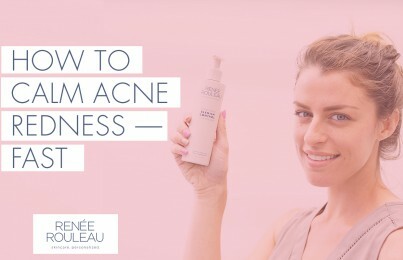 This ingredient plays a great supporting role when used in an acne-clearing routine by working to lessen breakouts and sensitivity from within. What does Coenzyme Q-10 do? Coenzyme Q-10 makes the cellular fuel needed for building new cells and tissues more readily accessible. Since cell metabolism slows down with age, this ingredient plays a key role in keeping the face looking youthful, healthy and vibrant. Who should use Coenzyme Q-10? Anyone with a dull, sluggish look who wants a brighter complexion. Excellent for smokers. Ergothioneine is a naturally-occurring amino acid that acts as a superior antioxidant, cell energizer, and brightener. It protects skin from the ozone in smog and airplane cabins, and it interrupts the aging process aggravated by free radicals in the environment. Ergothioneine is outstanding at protecting the mitochondrial membrane against oxidation. It will transfer fatty acids into the mitochondria so that oxygen is used more efficiently to produce more energy. Anyone with aging, dull-looking skin looking for a brighter, fresher complexion. Ethyl Lactate is an ester form of lactic acid, which is a type of naturally occurring organic acid known as Alpha Hydroxy Acid (AHA). Ethyl lactate can significantly reduce the skin’s pH as well as the amount of bacteria present. It encourages the chemical breakdown of sebum (oil), which is helps purify the pore and clears and calms visible bumps and cysts. Who should use Ethyl Lactate? Anyone in need of relief from painful, infected bumps and cysts. Glycerin is a humectant (A.K.A a “moisture magnet”) that is derived from plant oils or the fermentation of sugars, or is synthetically produced. It attracts moisture from the air as well as from the lower layers of the skin to deliver it to the epidermis. This helps hold water between the cells to make the skin feel moist and bouncy. None. However, when used in high concentrations (generally anything over 5%), glycerin can irritate the face and cause further dehydration when there is little moisture to draw from. Someone is already dehydrated on the skin’s surface as shown in this video. The skin’s surface lipids are low. Skin is in a hot, dry environment with low humidity (under 65%, which also includes airplanes). Skin is suffering from internal dehydration. Note: Because of this, most cosmetic formulas aren’t using glycerin in high concentrations. Generally, glycerin is used in concentrations of 2%-5% and is combined with emollients to offer other water-binding benefits. Like ethyl lactate, glycolic acid is an Alpha Hydroxy Acid (AHA) exfoliant that creates a chemical reaction to lower the skin’s pH. By lowering the pH, glycolic acid dissolves the “glue” that holds dry, expired cells together. This triggers the production of fresher, younger-looking cells. Of all exfoliating acids, glycolic acid has the smallest molecular structure and can penetrate the farthest. This ingredient is one of the best active ingredients for improving the skin’s texture and making it appear smoother. Anyone who wants to reduce the look of wrinkles, fine lines, irregular pigmentation, brown spots, and enlarged pores. None, as long as you are using it correctly. Using an acid too often or incorrectly can result in a damaged barrier and trigger inflammation. Not good! Green tea is rich in catechins and proanthocyanidins, which have been shown to be effective against the damaging free radical known as Reactive Oxygen Species (ROS). A plant-based antioxidant, green tea is known for its soothing benefits as well its ability to calm signs of redness. Who should use Green Tea? Anyone who wants to prevent and reduce the appearance of wrinkles. It’s a must for anyone who spends a lot of time outdoors. 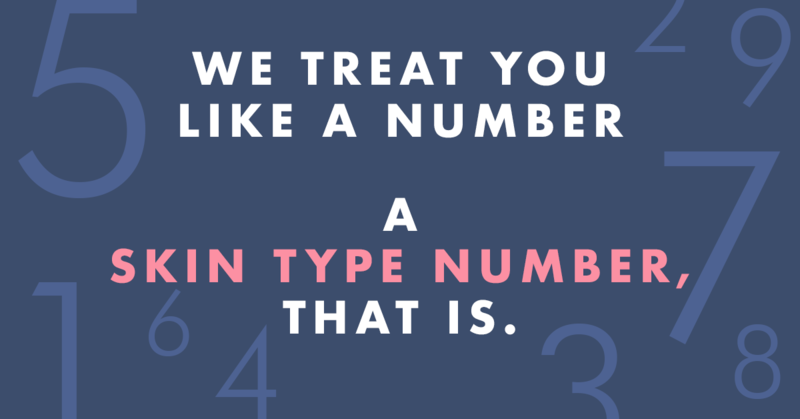 Hyaluronic acid occurs naturally in the body and acts as a lubricant for our joints, nerves, hair, skin, and eyes. Like glycerin, hyaluronic acid is a humectant and attracts moisture from the air as well as from the lower layers of the skin to deliver it to the epidermis. This makes the face look and feel moist while increasing plumpness and elasticity. In skin care formulations, a concentration of 1%-2% is an effective amount to hydrate the skin. Note: An alternative name to hyaluronic acid is the ingredient sodium hyaluronate. See ingredient sodium hyaluronate below. All skin types in need of hydration. Skin cells in all types need water to live, so there is no one that won’t benefit from this ingredient. None. However, similarly to glycerin, you won’t be able to experience the benefits of hyaluronic acid if you live in an exceptionally dry climate because it won’t have moisture to bind to. Lactic acid is an Alpha Hydroxy Acid that is sourced from fermented sugar (not milk) or used in a synthetic form. Like other AHAs, it chemically lowers the pH of the skin to exfoliate dry cells. It is a hydrophilic (water-loving) humectant, so it can also increase the skin’s ability to hold onto water while it exfoliates. It has a larger molecule than other AHA’s like glycolic acid, so it doesn’t penetrate as deeply. This make is a better option for sensitive, easily-irritated skins. Who should use Lactic Acid? Anyone who wants to reduce the look of wrinkles, fine lines, irregular pigmentation, brown spots and enlarged pores. Excellent for sensitive skin types. None, as long as you are using it correctly. Using an acid too often or incorrectly can result in a damaged barrier and trigger inflammation. Niacinamide is truly an ingredient with multiple benefits. It is a water-soluble form of Vitamin B3 that boosts ceramide levels in the skin, improving its ability to hold on to moisture. Niacinamide does this by stimulating circulation in the dermis through a process known as vasodilation. Niacinamide can reduce the yellow-ish look to the face caused by the glycation of proteins, which is part of aging from environmental damage. It also serves as an antioxidant to protect cells, membranes, and tissues from free radical attacks. Niacinamide helps reduce discoloration (brown spots and post-breakout scars) by preventing the transfer of melanosomes from melanocytes to the keratinocytes. Lastly, niacinamide offers anti-breakout and anti-bacterial benefits to reduce blemish activity. Because of its many benefits, niacinamide is one of the best active ingredients used in modern formulas. Anyone looking to improve dryness, dehydration, brightness, blemishes, brown spots or discoloration from acne scarring and the signs of aging. None. However, I have heard that some people can experience some redness when using niacinamide in high percentages. This is probably due to the vasodilation process. What does Palmitoyl Tripeptide-38 do? Peptides are long or short chains of amino acids, which are the building blocks of protein that send signals to your cells to make more collagen and thicken the support structure of the skin. There are many different types of peptides, but I like palmitoyl tripeptide-38 because it is one of the most well-researched. Peptides are able to enter the cells and still remain intact. Most peptides function as moisture-binding agents and almost all of them have cell-communicating capabilities that send signals to repair itself. If you want firmer-looking skin, peptides are some of the best active ingredients to use. Other beneficial types of peptides include the following: palmitoyl oligopeptide, palmitoyl terapeptide-7, acetyl hexapeptide, palmitoyl pentapeptide, dipeptide-2 and caprooyl tetrapeptide. Who should use Palmitoyl Tripeptide-38? Anyone whose main focus is preventative aging and who wants firmer, smoother-looking skin. 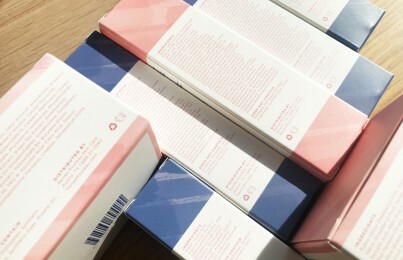 Retinol is derived from pure, bioactive vitamin A. Retinol is a cell-communicating ingredient that can increase cell thickness, affect gene expression, increase the production of collagen from within and thin the stratum corneum (the outermost layer of skin consisting mostly of dead cells). With continued use, retinol improves the appearance dramatically and helps it to mature in a more desirable way. The texture on your face will be smoother with fewer visible wrinkles, lines, large pores, brown spots and scarring from acne. This magic ingredient is the ‘go-to’ for preventative visible aging and can deliver incredible smoothing and resurfacing results, as long as it’s used consistently and correctly. Anyone over age 30 who wants to slow down visible aging and get a smoother, more even-toned texture. Some initial dryness can occur in formulas with concentrations of 1% or higher, but not all formulas are made the same. If your face acts sensitive, look for a gentler formula. Retinol is not recommended during pregnancy. Read how to prevent dry, flaky side effects from retinol. 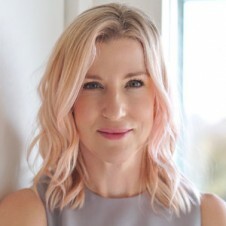 My favorite UK blogger, Caroline Hirons has a video series about retinol where she reviews many different formulas. Salicylic acid is a Beta Hydroxy Acid (BHA) famous for its bactericidal properties. It is a keratolytic, which means it breaks down the keratin that makes up the horny outer layers of the skin. These properties make salicylic acid ideal for preventing and clearing blemishes. Since salicylic acid is an exfoliant, it will also smooth the skin (without causing irritation) and fade acne scars. The difference between BHAs and AHAs is that BHAs are oil-soluble, which means they can penetrate the pore lining more effectively. This makes salicylic acid one of the best ingredients for preventing clogged pores, blackheads and closed comedones (non-infected bumps under the skin). Who should use Salicylic acid? Anyone who gets blemishes in their teen or adult years and wants a clearer, smoother complexion. None, as long as you are using it correctly. Using an acid too often or incorrectly can result in a damaged barrier and trigger inflammation. Salicylic acid is generally not recommended during pregnancy. What does Sea Whip Extract do? Sea whip extract is a soothing and anti-inflammatory ingredient that helps reduce redness and decrease sensitivity. Sea whip extract is produced by sea whip, a marine organism also known as Pseudopterogoria elisabethae. Sea whip extract works by inhibiting the inflammatory enzyme phospholipase A2. This enzyme is often responsible for irritation. With continued use, puffiness seems to go down, discomfort and surface tenderness are brought under control and weakened components of the skin that lead to chronic redness are strengthened. Sea whip extract is considered one of the best active ingredients for sensitivity. Who should use Sea Whip Extract? Anyone with redness, blotchiness, rosacea or acne who wants the skin to act calmer. Sodium Hyaluronate is a bioactive salt form of hyaluronic acid. It recharges the moisture levels by binding 1000 times its weight in water to the skin’s surface, restoring comfort in seconds. You’ll see sodium hyaluronate used more frequently in products than hyaluronic acid. This is because it has a smaller molecular size, meaning it penetrates the skin more deeply. In addition, because it’s in a salt form, sodium hyaluronate tends to be more stable and less likely to oxidize. This ingredient is excellent for repairing a damaged moisture barrier and preventing transepidermal water loss caused by over-exfoliation, dry climate or sun exposure. Who should use Sodium Hyaluronate? All skin types in need of hydration. All cells need water to live, so any skin type can benefit from this ingredient. What does Tetrahexyldecyl Ascorbate do? Tetrahexyldecyl ascorbate is a lipid-soluble ester form of vitamin C. It is known for having excellent stability as well as delivery advantages over water-soluble forms of vitamin C, such as L-ascorbic acid and magnesium ascorbyl phosphate. Tetrahexyldecyl ascorbate is one of the most stable and effective forms of vitamin C and is therefore generally tolerated better by those with sensitive skin than water-soluble forms of Vitamin C. Tetrahexyldecyl ascorbate is clinically proven to build collagen and increase firmness. In addition, it decreases dark spots and hyperpigmentation and reduces signs of sun damage. Tetrahexyldecyl ascorbate is generally retained in the epidermal layers longer than other types of Vitamin C, providing prolonged benefits. Some water-soluble forms tend to pass through the epidermis quickly, which causes them to oxidize and reduces their activity. Who should use Tetrahexyldecyl Ascorbate? Anyone with aging concerns who is looking for brighter, fresher and more even-toned skin. Using tetrahexyldecyl ascorbate in conjunction with your daily sunscreen will also significantly increase protection against harmful UV rays. What does Zinc Oxide do? Zinc oxide is a mineral that provides broad-spectrum UV protection (protection against both UVB and UVA rays) while potentially inhibiting the formation of hyperpigmentation. Zinc oxide is considered a physical blocker since it works by sitting on top of the skin to deflect and scatter damaging UV rays away from the skin. Who should use Zinc Oxide? All skin types, including acne-prone. Zinc oxide is also especially good for those with heat-activated sensitivity, like those prone to rosacea and redness. None. However, there is a downside to using Zinc Oxide versus physical sunscreens. So there you have it, 20 of my favorite active ingredients. I know this post has a lot to take in, but I hope you start using at least a few of what I consider to be the very best active ingredients to benefit your skin. To learn which products are best for you, take this Skin Type Quiz to get products recommended for you.